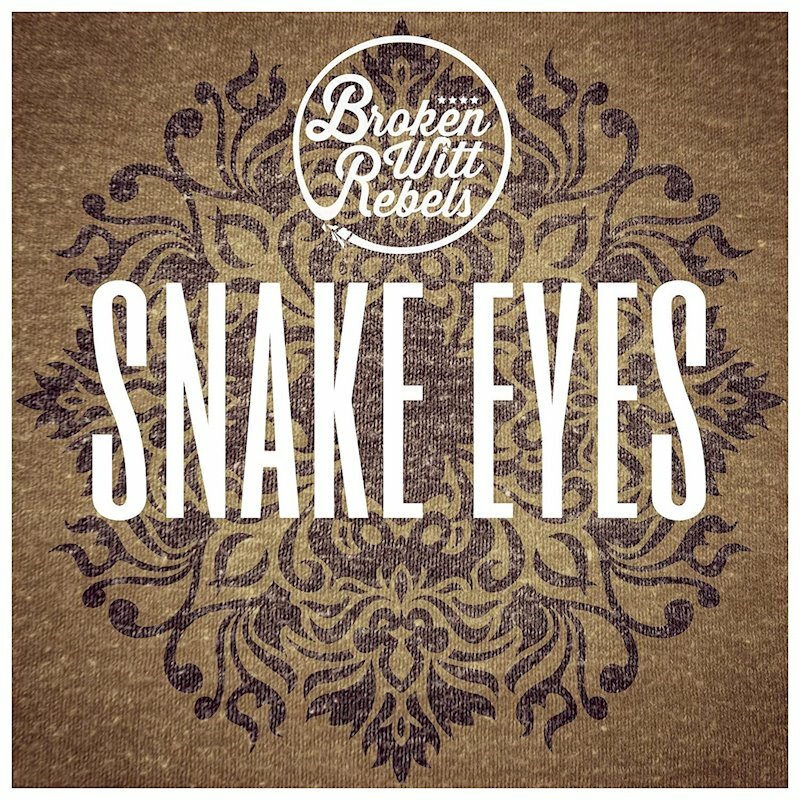 Back last summer into my inbox came an EP from Broken Witt Rebels, Snake Eyes. I listened loved the four tracks it left me in the heat of those long hot days wanting more, a full album. Then, for some inexplicable reason the review was never written I listened I loved the sound played all their songs on shuffle. Saw them play live but the review of these four songs remained unwritten. … that the review was never started let alone finished. The perfect excuse on a snowy afternoon to heat up the speakers with Danny Core’s vocals and Snake Eyes. Opening with the title track. We have the first number from their self-titled debut album Snake Eyes always a winner. The second number from the album follows with Wait For You , melodic and beautiful with the beat of the drum and chorus that swathes the melody with movement of tone and sound. It leaves you wanting so much more. Then a favourite from every BWR live setlist – Bang Bang. Danny’s voice sets the tone and then the guitar and rhythm section picks up the moody beat. The energy building as the lyrics unfold pulling you into the tonal textures that define this young band. A favourite when they play live it is perfect for this perfectly formed EP. Closing this short EP with Turn Me On the crescendo is reached as the sound grows there is a ebb and flow of emotion as Danny explores the relationship captured in the lyrics. Across the E.P. we have the musical stamp that defines BWR. It is the effortless blending of influences out of the Midlands deep into the shades of Blues, Southern Rock, layers of country and the glue the driving energy of British rock. The first think you notice on every number whether from the studio or live on a stage is Danny’s vocals as they groan, cry, beseech and take you to a special place as the tonal depth sends shivers of pure delight down your spine demanding and getting noticed every time. Without the band he would not have the deep and strong platform to soar to the heights he finds. The rhythm section of JD on drums and Luke’s Bass guitar are full of beats and tonal cadences that ensure all of the numbers have shape and textures. The guitar work from James is superb silky smooth and then rasping and demanding he adds chords that complement the rhythm guitar of Danny.